Vélo Vogue: come out and play! 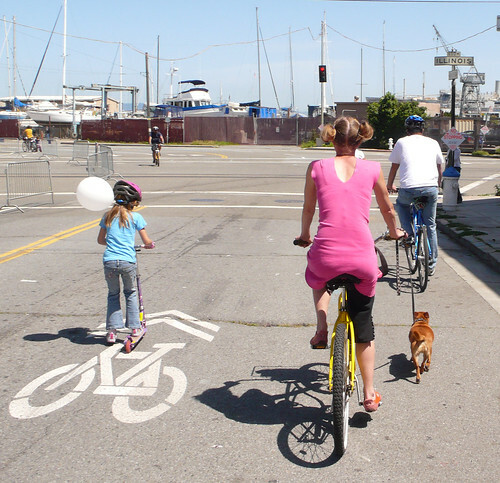 Apart from being a super-sunny gorgeous 75 degrees Fahrenheit afternoon, Sunday Streets in Bayview this past weekend was made for cyclists! It was hard for me to believe that I had never been on the Third Street bike lane before, and now, I will most certainly return. 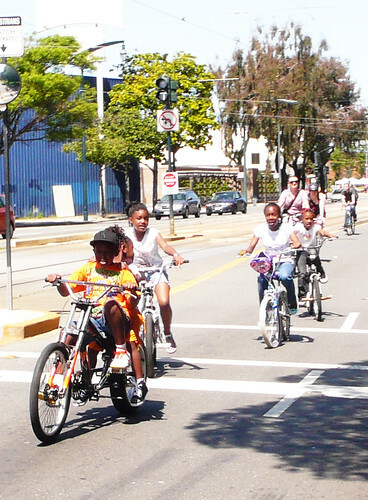 Most of all I was happy to see so many children enjoying the car-free Third Street. And this pretty young thing perched gracefully on her mini dirt bike, taking a bite from her apple - swoon-worthy! Happiness is as simple as this single white balloon. Car-free streets. Togetherness. Safety. Enjoyment. And let's not forget the springtime sunshine. 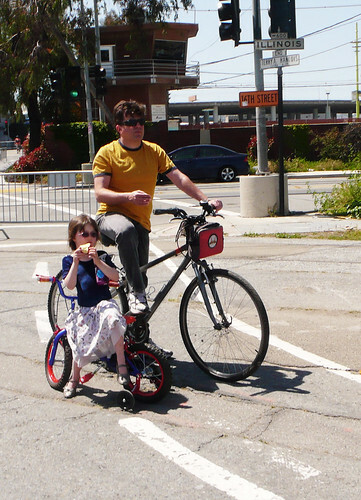 I wish Sunday Streets were every weekend. love it!!! makes me miss the city so much!